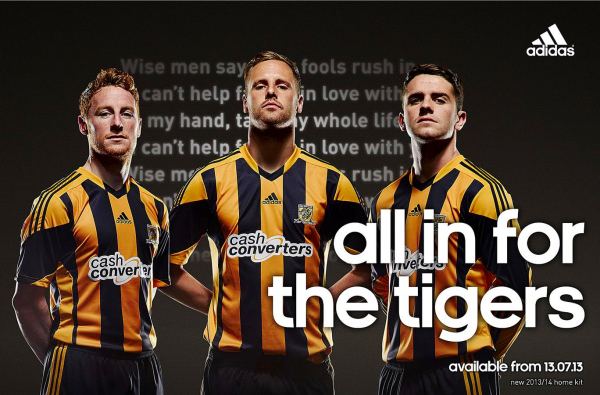 Does how you wear your socks characterise how you play? 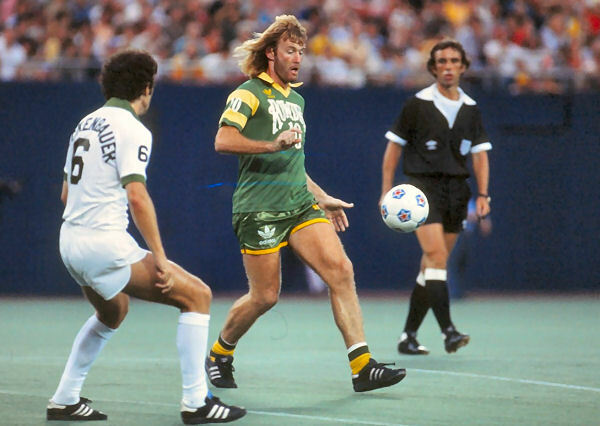 In the 70s and 80s, socks worn around the ankles became a metaphor for ‘maverick’ players who eschewed rigid formations and defensive responsibilities, instead playing with carefree flair and swagger until FIFA’s policy wonks literally had them pull their socks up. 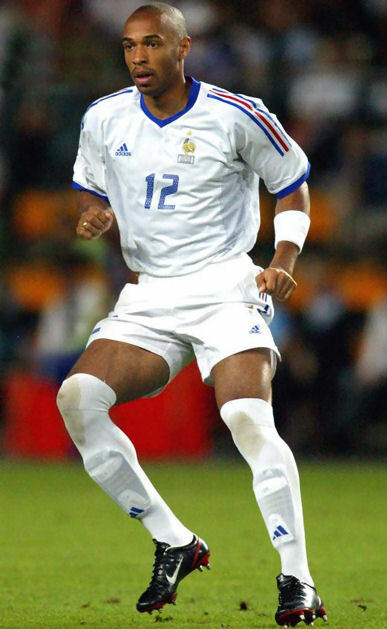 In recent years it has gone the other way, socks worn way above the knee became associated with graceful, gazelle-like forward play when Thierry Henry pioneered the tights of a Tokyo schoolgirl look, at least it did until Peter Halmosi and a swathe of others copied the look. So, what of a player who tears holes in his socks? What style of play does that symbolise? 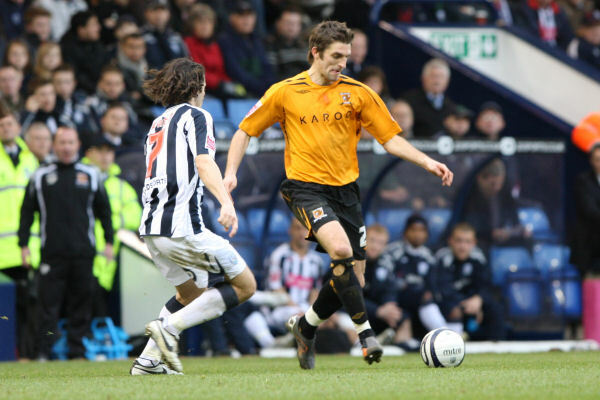 For City fans it means high octane, enterprising wing back play, for Sam Ricketts, the Welsh international full back who played for the Tigers between 2006-2009, has a habit of ripping holes in his legwear. 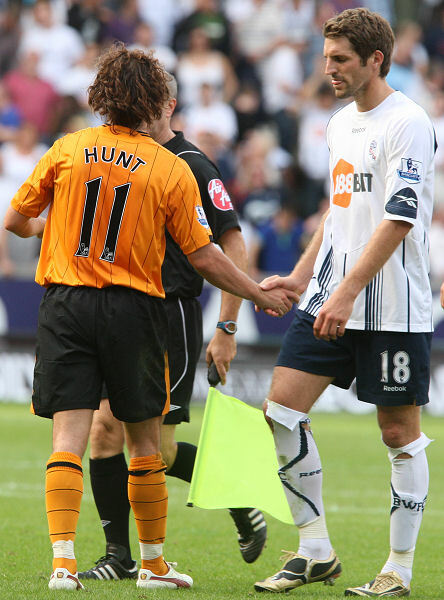 At least he has had since the start of the 2007/08 season, as we can find no photographic evidence of him intentionally tearing the Diadora socks worn during the 2006/07 season, Rickett’s first year with the Tigers (though he did do this rolling down of the turnover band thing midway through the Leicester home game that made it look like he had different socks to everyone else). 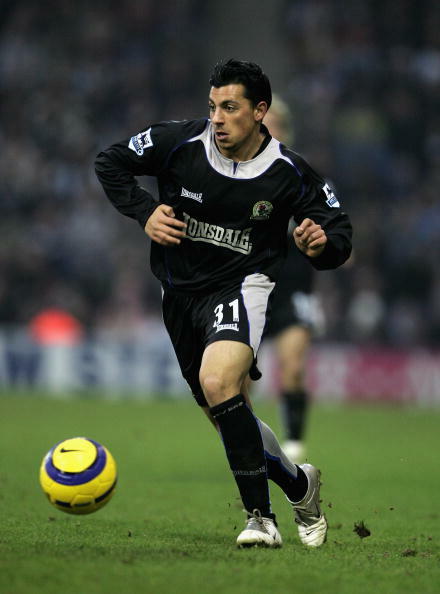 This continued throughout the 2007/08 campaign, here’s Sam at West Brom in the January (taking on Robert Koren) and against Southampton in the March. Sometimes the tears were just to the top of the foldover band and there was no hole further down, such as here at Sheffield United. 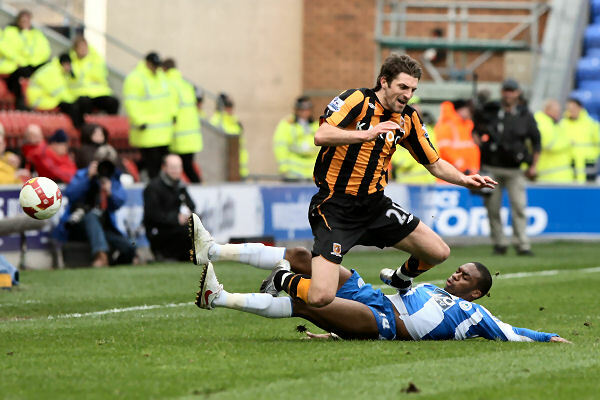 It isn’t easy to tell if there is a tear at all on some pictures, it could be on the side opposite the photographer, but it’s clear that he faffs with his socks no end during games, take the Sheffield Wednesday away game where sometimes the sock is pulled up to normal height and other times pulled over the knee. 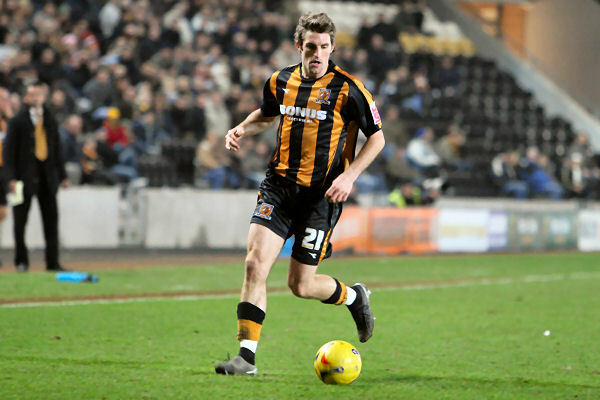 Rickett’s played every minute of the Play-Off final at Wembley with holey socks. 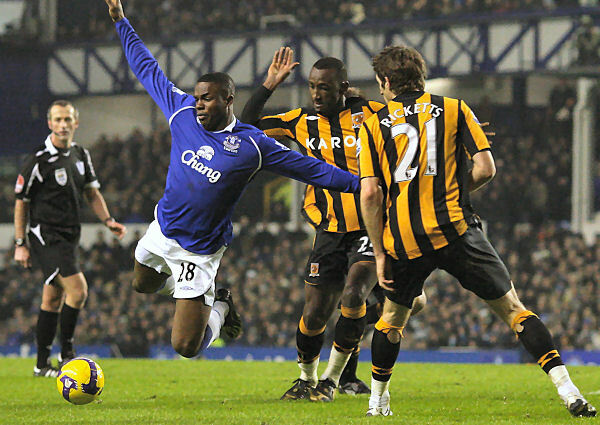 Though the right-back doesn’t appear to have torn or cut holes in his socks for the first game of 2008/09 against Fulham, Ricketts resumed the idiosyncrasy for most of City’s inaugural Premier League campaign, from small holes against Manchester City and Stoke, to gaping gashes at Everton and Wigan. Sam didn’t get on the field for the Earth axis shifting win at Arsenal, he was an unused substitute. 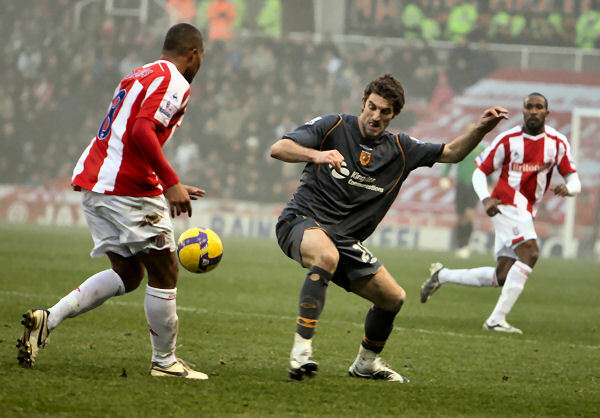 However while partially dressed to play at the Emirates Stadium, his socks were rolled down, creating the same effect seen against Leicester two years earlier. 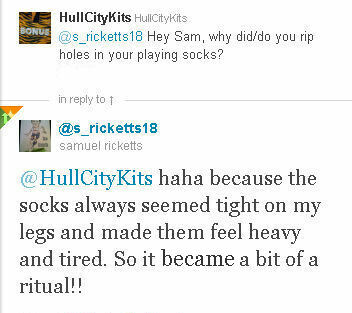 We wondered why Ricketts would choose to have holes in his socks, so we asked him on Twitter, his reply? Tight socks made his legs feel tired. Fascinated by the reply, we tried on the Diadora 2006/07 and Umbro 2007/08 socks for comparison, and you know what? 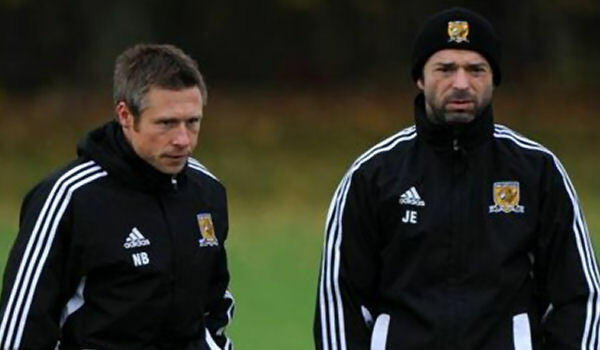 Umbro’s socks are definitely much tighter. 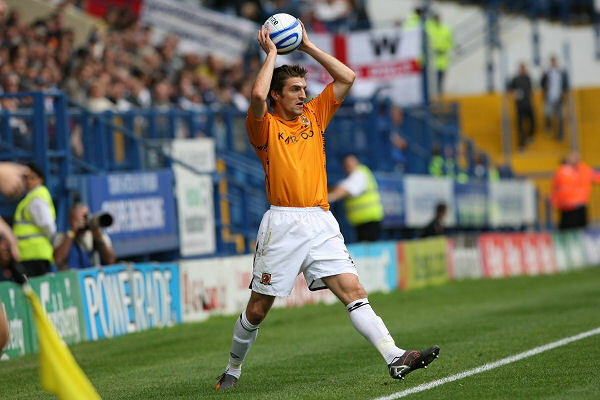 Sam Rickett’s joined Bolton in the summer of 2009 for £2,000,000 and as a ‘Trotter’ faced City early in the 2009/10 season wearing socks made by Reebok. Did he tear holes in them? Yep, he sure did.